I think I've written maybe about 15 or more abbreviated versions of this list for my clients. This has become rather inefficient to type them out repeatedly, so I've decided to put my current favorites in one place and expand on it in further detail. I'm a downtown girl and without fail whenever I venture up to the range of 34th St, I say "Wow, it's been forever since I've been uptown like this!" Therefore, this list is limited to my usual neighborhood haunts. That being said, I'm looking to continually round this number up higher- so please feel free to send me suggestions to add (doesn't HAVE to be downtown)! I don't have personal photos of all the places listed, but am sharing what I did manage to snap when I wasn't distracted by diving right to the food... I will add more as I revisit. Grilled Cajun Shrimp, Lebanese Stuffed Zucchini, and Roasted Chicken. FOR: A more casual setting. Breakfast, Brunch, Lunch, Dinner, Juices, Smoothies, and they actually do happy hour as well. I LOVE THEIR: Everything I've tried, seriously. Amazing and creative flavors, has a nice balance of proteins, roots/vegetables, grains. Some favorites are Chickpea burger, Ancho-Glazed Salmon, Grilled Cajun Shrimp, Lebanese Stuffed Zucchini, etc etc. NOTES: If you are trying to stick to healthier options, this is a great place. Their menu is essentially a healthy free-for-all playground. Hudson- Hudson St btwn Charlton and Vandam St.
FOR: A more casual setting. Lunch/Dinner. I LOVE THEIR: Plates that involve protein (fish, chicken, red meat), but their Market Specials are the winner here: they range from season and location, and vegetables never tasted so good. I usually get their "Market Plate" that comes with 4 options of your choosing- I love the Seared Tofu, Brussel Sprouts (hold the dijon), Green beans w/almonds, and Sweet Potato fries. NOTES: This place is heavily healthy, but has some splurge options like mac and cheese, burgers, etc. but they are made with quality ingredients. WHERE: Greenwich Ave btwn Bank St and W.12th St.
Takeout available. Delivery for groups of 5 or more/Catering. I LOVE THEIR: I'll usually do a "Standard Plate" that comes with 1 protein and 2 veggie sides. I love their signature roast chicken because its delicious first and foremost, but it's not doused in butter like some others tend to be. I also love their sugar snap pea salad w/miso-lemon dressing. Last fall, I also had an amazing pumpkin-spice latte (to the left) that wasn't made with syrup like some larger coffeeshops signatures. NOTES: The founder, Marissa Lippert, is nutritionist and a foodie, so everything is seasonally-influenced, pure, but never without flavor. Some of their recipes may seem odd/intimidating for the non adventurous at first, but give it a go- I'm pretty sure you'll like it. I LOVE THEIR: (for proteins) Charred Chicken, Braised Beef, Grilled Wild Salmon, then pending on my carb balance for the day, I'll do the specialty grain or greens. For sides that come with, I'll do roasted sweet potatoes, roasted cauliflower w/chickpeas, broccoli w/almonds, or cooked kale. NOTES: They locally source their ingredients and their slogan is "farm to counter." I find that some of their vegetables can sometimes be overly seasoned/oiled for my liking, but this is a great place to grab food post-workout. Solid protein and cleaner carbs to refuel and begin that all-important recovery process. Broiled Salmon w/okabe, steamed vegetables, maze rice, sesame dip. Delivery (minimum pending on distance) and takeout available. FOR: A more casual setting. Lunch and Dinner, Juices/Teas. I LOVE THEIR: all their seafood- broiled salmon or black cod made with a ginger-scallion marinade or their okabe (sesame) paste. Their simple steamed vegetables of carrot, kabocha squash and broccoli are a far cry from the "mushy tasteless steamed vegetable" stigma- they are perfectly cooked every time. OTES: Fantastic, simple authentic Japanese macrobiotic food. They focus on their grains, seafood, and vegetables and do an excellent job at all of them. After eating here, I feel energized, happy and my body feels great. They also have a few sushi, vegetarian, and noodle entrees. 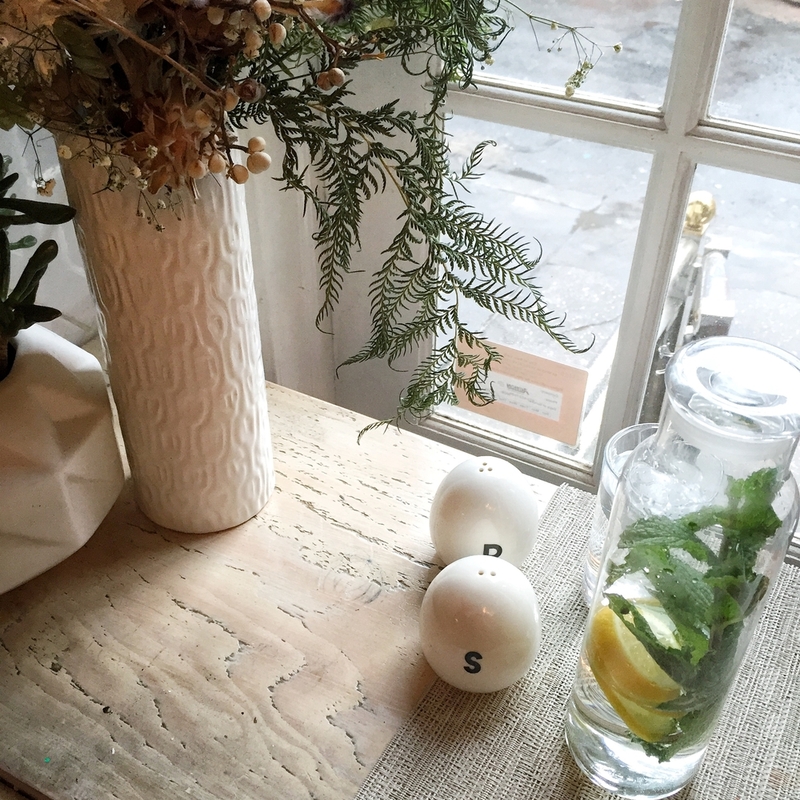 FOR: Chelsea location is a bit more intimate and nice, the W. Village more casual. Lunch and Dinner. I LOVE THEIR: kale-marinated salad w/scallions, bell peppers, avocado and ginger dressing. I've only been here once, but I have my eye on the beet-marinated tofu w/creamy dill, lobster mushroom scallops, forbidden black rice, fennel, leeks, and broccolini (that's a lot of food so I'm saving it for a really hungry day) next time I go. NOTES: This is technically a vegetarian restaurant, so for protein options there is tofu, seitan, tempeh, then your other plant-source proteins. Dishes are innovative and delicious, made with organic and local ingredients. I would describe this place as more rich-healthy rather than on the leaner side of healthy- a great place for a hearty meal that won't leave you feeling over-indulged though! FOR: A more casual setting. Breakfast, Lunch, Dinner, Juices, Smoothies, Dessert. I LOVE THEIR: Peace bowl is my go-to here- 3 of their roasted veggies over brown rice w/ginger-scallion oil. I'll usually choose to do the rice sans oil or sub in quinoa, then have Japanese pumpkin, brussel sprouts, and cauliflower for the veggies. 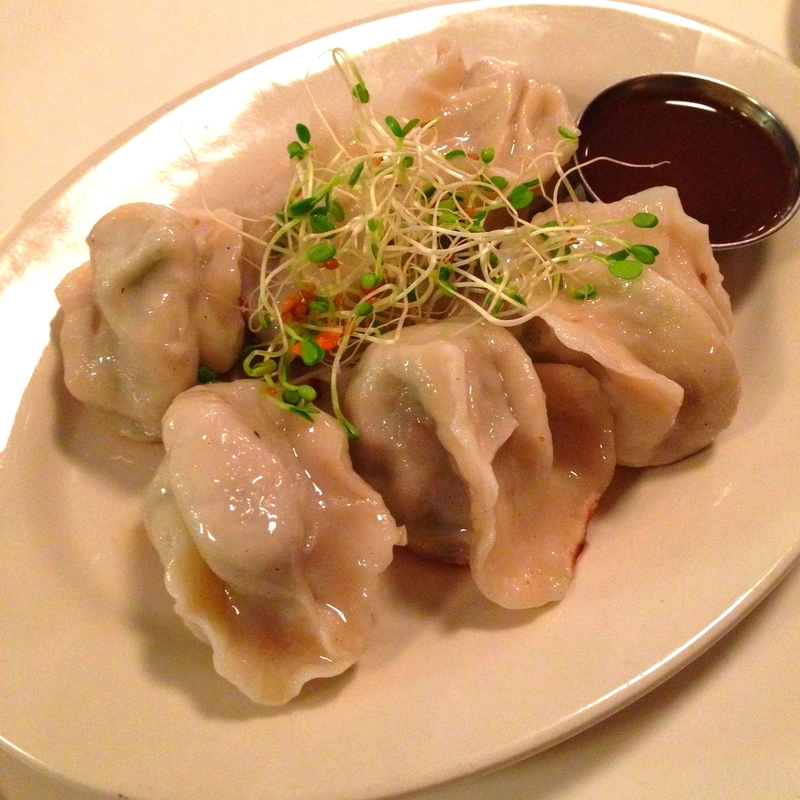 The Shanghai-Style Dumplings are also so delicious. 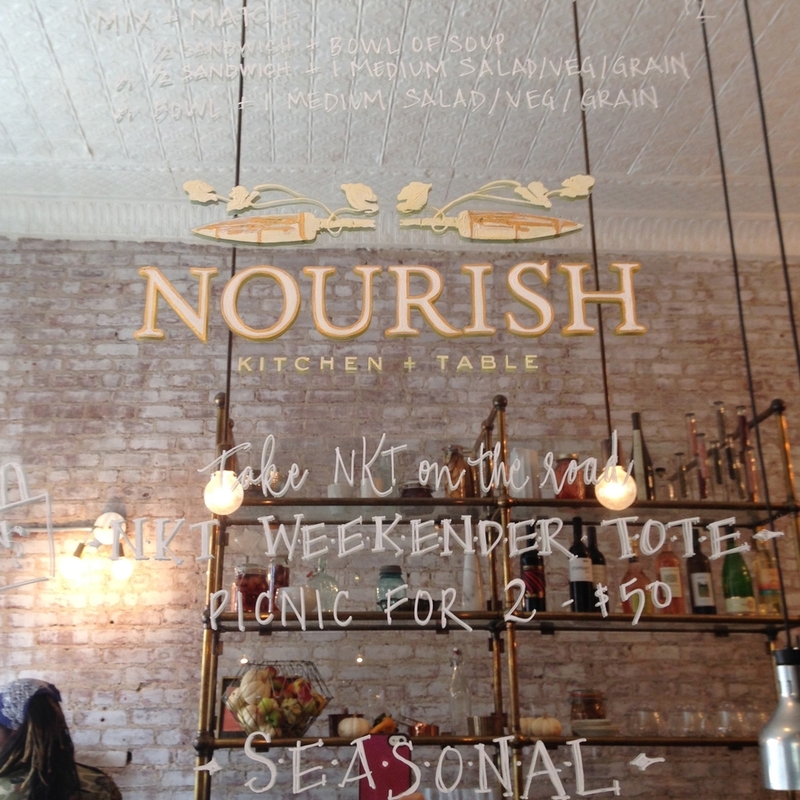 NOTES: It's a vegan restaurant with so many options, sure to even fit non-vegan palates. When you walk in the doors, you are facing the giant bakery viewing case which is hard to not linger by because everything looks so appetizing. Their roasted vegetables deserve two shoutouts, as they are cooked and lightly seasoned perfectly to my liking. Friendly service, really savory food, and a great spot to meet up for a casual dinner with friends. FOR: A more casual setting. Breakfast, Lunch, Dinner, Juices, Smoothies. I LOVE THEIR: rotisserie chicken made w/organic coconut sugar and sea salt brine and the Hu Joe grass-fed meatballs. In their takeaway market section, I also always grab their almond-meal baked chicken tenders. I also can never turn down brussel-sprouts or roasted broccoli, and theirs are particularly well-roasted. NOTES: Gluten-free, and also dairy and grain free unless specially noted. It's funny but there are so many healthy restaurants that are vegan or vegetarian, so it can actually be difficult to find good lean meat protein. Their roasted veggie sides are also one of my favorites from a restaurant. The only downside is that it can be very pricey- I could easily rack up a $40 with just a few things in my hands alone. WHERE: Elizabeth St near E. Houston St- it's technically in NoHo, but close enough to Nolita. FOR: A more casual setting. Brunch, Lunch, Dinner, Juices, Smoothies. I LOVE THEIR: Live Earth Salad, Wild Salmon Burger over greens, and Thyme Sage Roasted Chicken Breast Bowl. All of the natural, pure flavors in the simple ingredients are prepared immensely well. NOTES: This is one of my favorite healthy places that pretty much everyone can find something they're happy with. It's like home-cooked food done very well. Everything is rather straight-forward, and they're great with substitutes and add-ons according to your dietary preferences/restrictions. They only use organic ingredients and never any butter, artificial fillers, starches, or highly processed foods. I LOVE THEIR: egg sandwich w/avocado, kale, tomato jam and cashew carrot cheese- not normally a breakfast sandwich person but this is amazing. Also their farm eggs & toast soldiers. And the ABJ (Almond Butter Jelly, made with almond butter and fresh grapes instead of jam- picture to the right). The freshly-made nut milks (pistachio, hazelnut in addition to the traditional almond) are so creamy and taste to the point of indulgent, and their smoothies are bomb. I have only had brunch here before but the dinner menu is also full of variety. NOTES: Vegetarian and non-dairy. This place uses a lot of alternative ingredients that can spook people with pickier tastebuds when it comes to health food, but I personally love it even though I'm FAR from vegetarian or dairy-free. I LOVE THEIR: bowls bowls bowls aka "Cruisers." I always get "The Spandex," which is a poached egg over miso quinoa, avocado, pickled onion, greens, and tamari. The egg sandwiches are also killer. They also have fried chicken, bacon, and buttermilk biscuits for those fun add-ons. NOTES: It's a small place and can get very busy on weekends for brunch. Food is fresh, simple, and delicious, and you guy know I love to put an egg on everything, so this is my jam. Beyond Sushi's Mighty Mushroom roll. Or what's left of it. FOR: Informal marketplace, you can sit (if you can find a seat somewhere) or takeaway. Breakfast, Lunch, Dinner, Snacks, Desserts, Coffees, you name it. 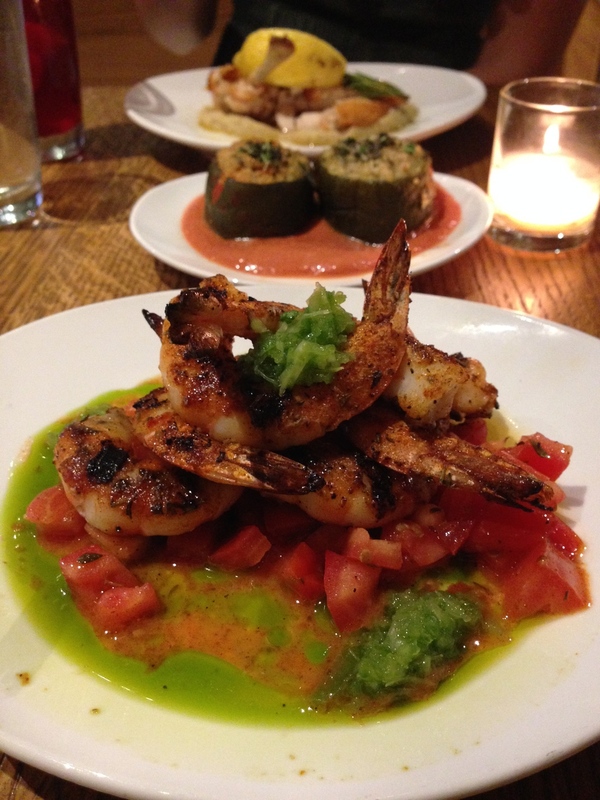 Green Table: their roasted pastured chicken and their wild alaskan salmon are cooked just right. One Lucky Duck Juice + Takeaway: a selection of goodies from the amazing Pure Food and Wine (a more formal restaurant using the best ingredients, but more indulgent), this place serves up shakes, juices, snacks, and sweets. They also have a Gramercy location on 17th and Irving. Beyond Sushi: vegan sushi- a mildly contradictory concept, but it works so well! Using black rice and a myriad of vegetables, it's both filling and light. The arrangements are also bursting with color and essentially edible art. They also have a location on East 14th Street btwn 2nd/3rd Aves. Nutbox: Perfect for snacks while perusing the market or take-home goods. They have a huge variety of organic nuts, seeds, fruits, honeys, coffee beans, etc. They have an online store, and two other locations (Greenwich Village on 8th St/University Place & Brooklyn on Smith St). WHERE: Warren Street near W. Broadway. FOR: A casual place. Breakfast, Lunch, and Dinner, Juices. Great for grab and go or to dine in. I LOVE THEIR: I've had some great cold sides like their southwestern quinoa corn avocado and cumin salad, zucchini squash pumpkin-seed pesto, and the kale pickled-onion chia seed mix. 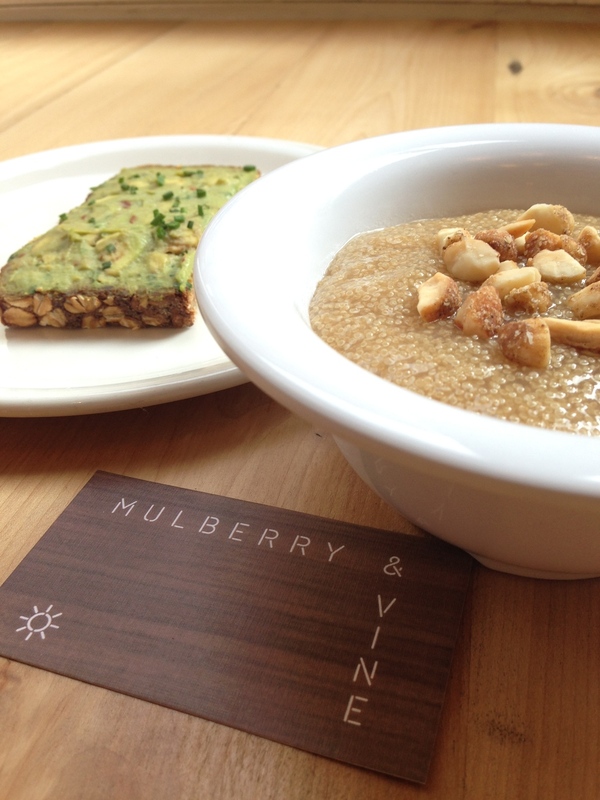 I have yet to try their hot sides, but I recently did try some of their breakfast items, the avocado toast and the amaranth pudding with chai-spiced almonds (to the right)- so delicious! NOTES: Locally sourced ingredients, and perfect for lighter meals. You leave satiated without a food coma, because it's all made fresh with no additives or heavy seasoning. They prefer to flavor their food with herbs and innovative combinations of ingredients. They carry Luli Tonix juices and tu-lu's gluten free baked goods as well.